Why is logo design so expensive? So why is logo design so expensive? I’ll explain. There are many people out there who claim they can design logos. How they create them is what you are paying for. Ask the designer/agency about their process. Some will be extensive where others will consist of stealing ideas or clip art, alter a few areas and sell it as an original design. Discovery session – 1-2 hours of interviewing the business owner. Research – this can take hours, days or more depending on the scope of the project. Keywords, phrases, competitors, demographics and more. All are important to understand before you create any logo design. Creation of ideas – spending time here to problem solve is a labour of love. It takes time to craft ideas that follow the magic formula of logo design. Polish up the idea – this is where we get on the computer and start mocking up the logo design idea into a polished version. We will play a little more with the design to make sure it works properly. Create a presentation – this is important to telling the logo story to the client. Pitching the design – another meeting with the client to show them the idea and explain why this is the logo for their company. Follow up – let the client sit on the design for a few days and follow up to make sure they are really happy with it. If the client says ‘approved’ then we refine it more into a final cleaned up logo design. Then we create the supporting designs – business card, envelope, etc. – if required. If the client doesn’t like it, we go back to the drawing board and create a new idea, at no extra charge. Package and deliver – all final designs are then packaged and delivered to the client. Our process isn’t much different from other designers/agencies who do this kind of work for a living. Then there are those who will stare blankly at you when you ask them about their discovery process. Never forget, you get what you pay for. It’s no different when buying a house, car, clothes or food. If it’s cheap, I will bet you a $100 that there is no attention to detail with the final product. If it’s too expensive for your company, find out the details of the service they provide. You may see that the price is reasonable based on the value you are getting. You can also look at their work and read their reviews before you decide. So why is logo design so expensive? Because there is a lot of labour and problem solving involved to create a unique, one-of-a-kind logo for your company. You will never see what goes on behind the scenes. Computer work is 20% of the overall project investment. How much is your company’s image worth to you? Only you can decide. Always remember that getting a logo designed for your company is not a cost. It’s an investment. That investment will give you ROI and a whole lotta other returns. 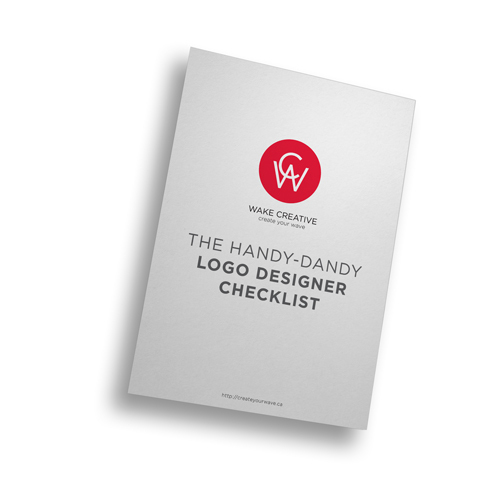 If you are having issues trying to find the right designer or agency to create your logo design, I made a handy checklist you can use or memorize when you interview designers/agencies. Use it on your shortlisted designer/agency. It will help you make the right decision so you don’t get ripped off. Or share it with someone who is looking for a logo designer. Download it by filling out the form below.